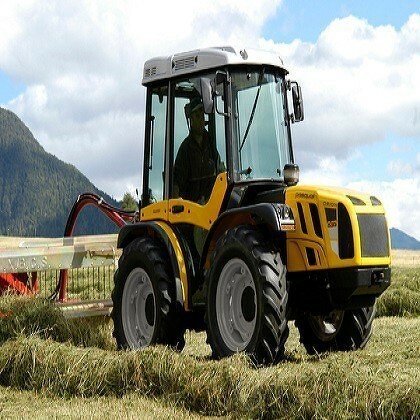 Typical Valtra features such as uniform weight distribution, high PTO power, spacious cabin and favorable power to weight ratio make Valtra ideal. The Auto-Guide steering system and the ISOBUS connection for tools provide the finishing touches to the product . Our customers appreciate the reliability and low costs over the entire product life cycle. 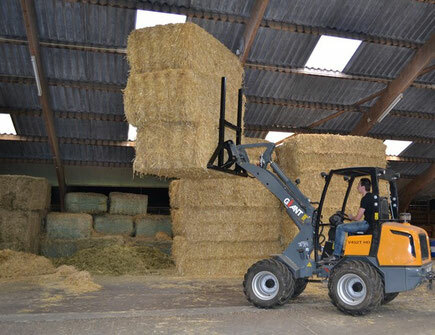 "Others go as far as they can, we go as far as we want"
Hof loaders from Giant convince by their performance, the compact size, safety and comfort. With 36 different models from 20 - 76 hp, small to large, 69 attachments as well as 8 different equipment, Giant offers a wide selection. 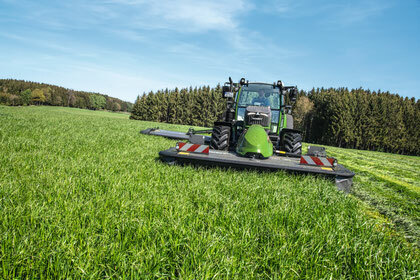 Low power demand on the market, thanks to parallel driven mowing discs. Extremely clean cut due to the highest cut overlap. High strength and easy maintenance thanks to individually lubricated mowing discs. "Mow grass as your animals need"
With more than one hundred years of experience in baling presses, Lely Welger sets standards in quality and reliability. From the pick-up through the pick-up system to the bale chamber; These bale presses have been developed for high effective throughput. "This makes round balers a joy"
Turning with the Lotus tedder is the basis for a timely harvest and optimum feed quality. Lotus tedders are perfect thanks to their unique hooks and their enormous stability. Due to the prong position and shape, the crop is picked up optimally and an unsurpassed performance is achieved. In combination with the robust design, higher travel speeds are possible. "A fast wilting promotes feed quality"
The tractor with front steering is powerful, and especially reliable and secure on slopes. The chassis is characterized by a very low center of gravity that ensures stability on slopes, without compromising ground clearance. The tractors Pasquali have the Self Cleaning System ®, an innovative dual fan system for a constant cleaning of the radiator and the air intake grille. It protects the cooling system against whirled dust and dirt that can have a strong negative influence. "The advantages of a long tradition"
Lochmann adapts to the conditions in the mountains for its customers . They have learned to rely on specific priorities: Robustness, ease of use, off-road capability and a high level of security. As a result trailers from Lochmann comply in every detail with the European safety standards. 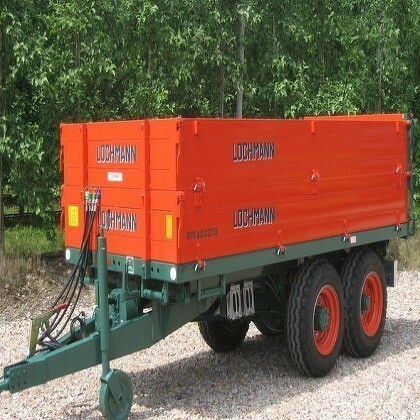 Bring home your successful harvest, materials or equipment safely and comfortably with a trailer from Lochmann. "Reliable partner always with the correct solution"